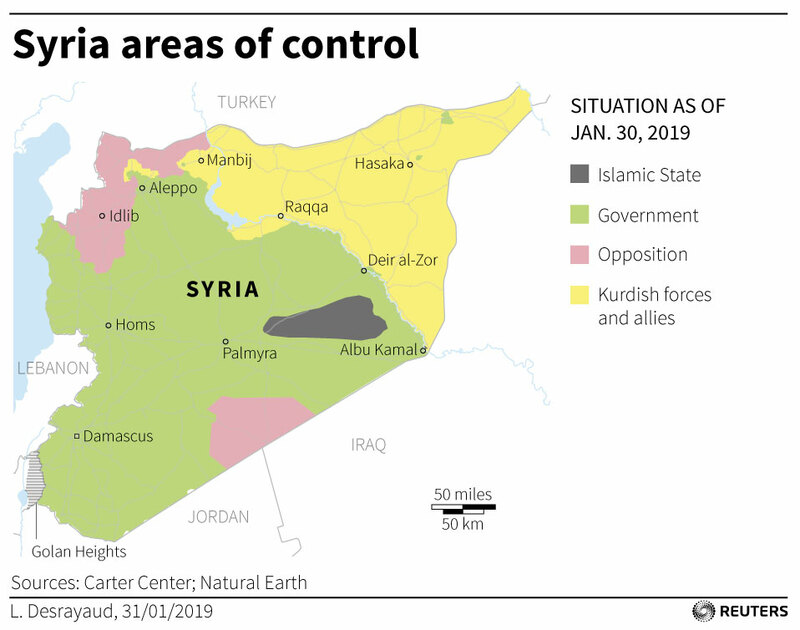 Mustafa Bali, head of the SDF media office, told Reuters the aim of the assault was to “eliminate the last remnants of the terrorist organization” and called it the “last battle”. He later wrote on Twitter that the battle had started and the enclave would “be cleared soon”. Bali told Reuters that in the last 10 days SDF fighters had handled the battle “patiently” as more than 20,000 civilians were evacuated from the besieged enclave. Islamic State leader Abu Bakr al-Baghdadi declared the group’s “caliphate” in 2014 in territory stretching across Iraq and Syria. But the group lost its two main prizes – the Syrian city of Raqqa and Iraq’s Mosul – in 2017.